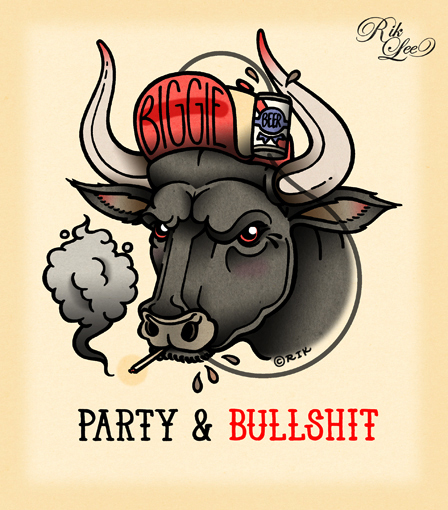 Famed artist/tatoo designer Rik Lee has a new card set available for sale on his site - featuring 4 animal prints - inspired by music (No Sleep Til Brooklyn Panther, Belly of the Beast Shark, Wake me for Summer Grizzly, and Party and Bullsh*t Bull, pictured above. Grab the set of four 7.5 x 5 in prints for a lowly $28! Purchase here.